2, 4, or 8 computers over one user console. When cascaded, you can operate up to 64 computers. 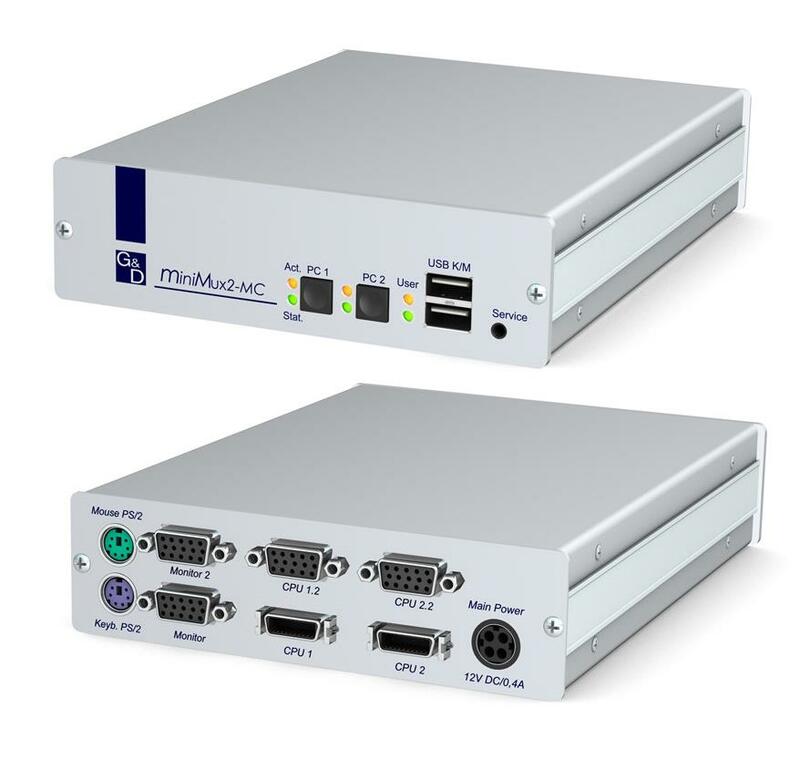 A working system consists of one miniMUX and the required computer connection cable sets.